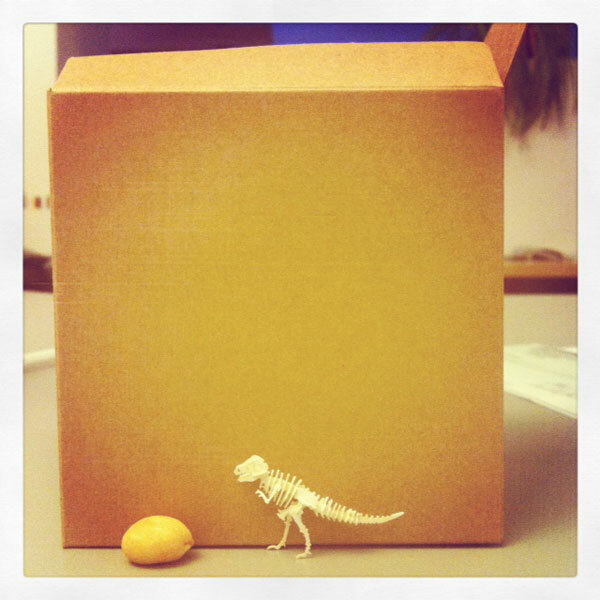 I finally finished the tiny T-Rex. He was like, ten thousand times more challenging than the tiny Triceratops. To be perfectly honest, he is having a little trouble standing up on his own. I’m trying to figure out a clever way to permanently prop him up. In the meantime, this box will have to do. I posed him next to a peanut to give a sense of scale, but then it was pointed out to me that the peanut could easily be a lemon. So that was sort of a fail on my part, I guess. I would like some more tiny dinosaurs to work on now, please.